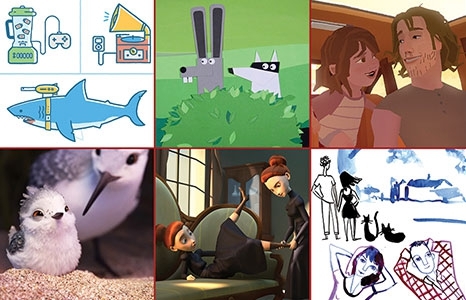 The Animation Show of Shows returns for its second year in theaters with 12 charming family-friendly films. Highlights include “About a Mother,” a new folktale with echoes of Shel Silverstein’s “The Giving Tree,” Disney/Pixar’s sweet “Piper,” and the latest in 360-degree storytelling in Google’s touching father-and daughter-journey “Pearl” by Academy Award® winner Patrick Osborne. Many of these shorts have garnered awards from prestigious festivals around the world. Featuring techniques ranging from hand-drawn to stop-motion to the latest computer-generated imagery, the extraordinary films in this program were created by animators from Belgium, Canada, France, Israel, Korea, Latvia, Norway, Russia, Scotland, the U.K., and the U.S.